Zeiss 10×42 Victory HT Binoculars- I birded with a $170 pair of bins for my first 10 years which served me well. However, once investing in the quality of optic I bird with now, it was like entering a whole new world of brightness and clarity. Bushnell Elite Scope w/30x fixed eyepiece- This is a lower end scope I’ve used for years. I made the conscious choice to not go big with a scope knowing I wouldn’t use it as often. Note: this scope is no longer made. Bird and Hawk Field Guides: The Sibley Field Guide to Birds by David Sibley, Hawks in Flight by Sibley/Dunne/Sutton. -I recommend all of the above apps because all have features I love but there isn’t just one that has everything. -Another outstanding local business with amazing staff (I deal exclusively with Matt in Kalamazoo, MI but all their staff isgreat). -No company is perfect but if there was an award for the one that comes closest, they win. I recommend 8×42 binoculars to all new birders for general birding. Any more magnification than 8x is harder to handle, especially if you are already unsteady. For hawk watching, 8x42s will still work great. Some, including myself, so still prefer 10x power and have spent the time to get used to the higher magnification for the extra reach. At sites like the Detroit River Hawk Watch where hawks are seen at very long distances, the extra magnification is helpful. I also recommend the newer roof prism style binoculars as they are more comfortable to hold, are usually waterproof and are more rugged. 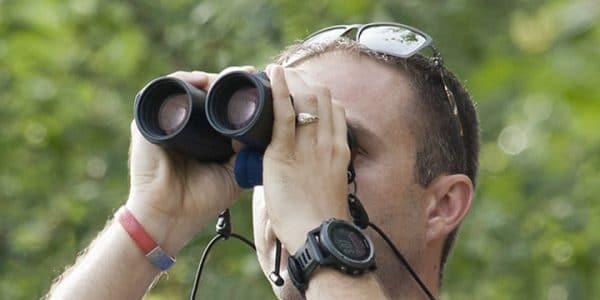 While the quality of optics goes up significantly as you invest more money, even binoculars in the $200 range are outstanding. I would shy away from the low-dollar optics found at department stores. A scope and steady tripod is a must if you plan to do a lot of hawk watching. I recommend a scope with a fixed eyepiece of 25-30x power and the widest field of view you can afford. I also recommend a panning type head that allows for smooth left and right movement and tripod legs that can support 2-3 times the weight of your scope, at a minimum. 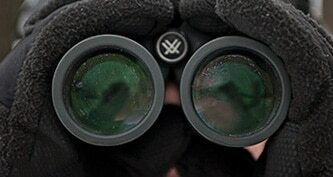 If you plan to only visit hawk watches occasionally, investing in a scope is not necessary. 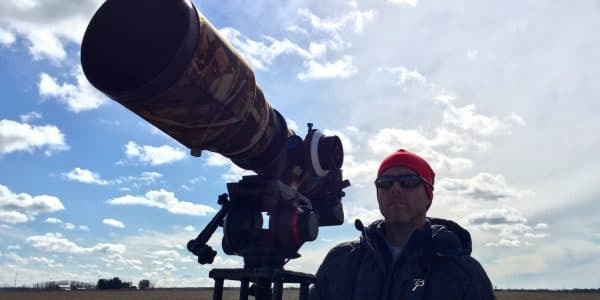 Most birders and hawk watchers are more than willing to allow anyone to use their scopes. I recommend Eagle Optics as an outstanding resource for all optics. It’s best to share your budget, type of birding you prefer and any eye or medical issues that could affect your birding. You can trust their recommendations. They have never steered us wrong, their shipping times are insanely fast and I’ve never had a single person come back to me with a less than satisfying experience. Places like Cabela’s and Bass Pro Shop’s carry optics but they are typically NOT birders selling the equipment. The staff at Eagle Optics are birders who know exactly what you need. While this sounds like a sales pitch, I am getting absolutely nothing for this recommendation. They are just truly a great company to deal with. For camera bodies, lenses and support I prefer Norman Camera all day long. They have locations in both Kalamazoo, MI as well as Grand Rapids, MI plus their on-line catalog is immense with pricing comparable to even B&H Photo. I deal exclusively with Matt, however all their staff is great. I always recommend to new photographers that your money is best spent in glass (i.e. good lenses). The lenses hold their value and you will own them for years and years where camera bodies come and go. When looking at a digital camera body, get the fastest speed you can. Meaning a fast burst rate (anywhere from 6 to 12 frames per second) and fast autofocus system. When you watch hawks gliding by, they seem like they would be easy to follow and photograph. Do NOT let them deceive you. They are like rockets and seem like they want nothing more than to avoid your camera. Most importantly, get a camera body that is easy to use and one that makes for quick setting changes using buttons instead of menus on the screen. Important setting changes include exposure compensation, AF drive settings, ISO, etc. 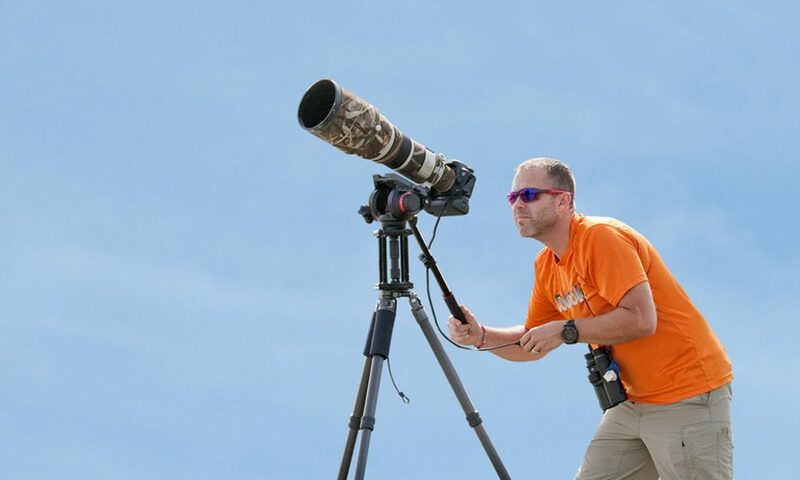 The general rule of thumb for lenses and birds is a minimum length of 300mm. I started out with 300mm and a matched 1.4x tele-converter which worked really well. Beware of tele-converters as they slow your autofocus down due to the reduction in light and your shutter speed will slow down as well. Buy local and test them out before committing. If you can afford it, prime lenses are the sharpest on the market. 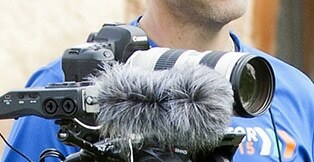 I shoot with a 500mm prime and rarely ever use a tele-convertor because I want the quality to be as high as possible. If big glass is out of your reach, it might be worth using a tele-converter, even knowing you will lose a bit of quality. Also get the fastest lens you can afford. It doesn’t cost much to get a 300mm f5.6 lens. Jump to f4 or even f2.8 and be prepared to spend a pretty penny. In the end, work with a local camera shop and get what’s best within your budget. If you are able to hand hold your camera and lens, I recommend starting there. Work at holding it steady and panning left and right smoothly. For heavier rigs, a tripod is a must. Always buy legs and heads that can support 2-3 times the weight of your rig (minimum). For birds in flight a high quality, smooth gimbal setup is ideal. Brands such as Wimberley and Really Right Stuff are outstanding, however they come with a high cost. The investment is well worth it, as the gear will last forever. Also look into Gitzo tripod legs. Again, a hefty investment up-front but you will have them for years and years.